Many have recently debated whether U.S. president Barack Obama’s foreign policy can appropriately be deemed “realist.” Whether or not it fits the academic definition, the Obama administration’s worldview has evinced an audacious level of pragmatism—a pragmatism perhaps best illustrated by Myanmar. Obama and Myanmar’s Nobel Peace Prize-winning opposition leader, Aung San Suu Kyi, found usefully practical partners in one another and have achieved impressively idealistic ends. Continued reform there, however, will require even more hard-nosed approaches to difficult dilemmas by both the United States and Myanmar. In 2011, the Obama administration saw the shifting political dynamics in Myanmar as an opportunity to flex its campaign-pledged pragmatism and productively engage with a traditionally hostile regime. Following a limited opening by the military government, then-Secretary of State Hillary Clinton became the first such official to visit Myanmar in 56 years. While conferring with the recently-released Suu Kyi, she reportedly told Clinton, “I don’t want to be an icon, I want to be a politician,” and that she was ready to get her hands dirty in the hard work of politics. 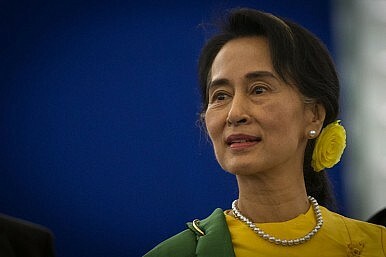 Following years of house arrest, Suu Kyi subsequently joined (and, in so doing, legitimized) the military-led transition. The Obama administration shifted decades of U.S. policy toward Myanmar, pairing limited sanctions relief with continued diplomatic pressure. A subsequent chain of events led to historic elections and sweeping victories for Suu Kyi and her National League for Democracy (NLD) party. Indeed, Suu Kyi and President Obama’s willingness to take risks in murky political environments has yielded significant progress, but the road ahead will require both of them (and their successors) to continue making difficult compromises. While Suu Kyi works to rebalance governing power away from the military, she may also need to be reminded of the importance of building sustainable, inclusive governing institutions herself. Shortly before I interviewed Suu Kyi a year ago in the pre-election transition period, she was assailed in the press for her “authoritarian” tendencies. She was centralizing power, local media charged, among herself, the NLD’s small circle of elders, and ethnic Burmans. When she arrived at our meeting, Suu Kyi had brought along a PR show of force, flaunting the NLD’s youngest member of parliament and a smattering of members from ethnic minority constituencies, all having changed from their parliamentary uniforms into their communities’ traditional garb. Though she dodged questions about building institutions outside of herself, she had constructed quite the photo-op. Suu Kyi and the new government have attracted similar criticism for legislating her even more authority and for putting human rights violations among ethnic minorities (like that of the Rohingya) on the back burner. Despite these shortcomings, Suu Kyi remains a critical partner for the United States in moving the strategically-located and resource-rich Myanmar forward with democratic and economic reform, but she is not the only such partner. U.S. policy should also build more bridges to Myanmar’s armed forces. The military remains the most important political actor in Myanmar even while now in formal opposition. It still wields broad authority under the current (military-drafted) constitution, and progress toward a more functional and balanced civil-military relationship will be critical to Myanmar’s future. The United States understandably has strict statutory limitations on engaging with Myanmar’s military, owing to its role in decades of brutal oppression. Congress and the president should consider cracking open the door to such engagement. Without bolstering its lethality, more open lines of communication could influence Myanmar’s military institutionally, pushing it closer toward meaningful civilian control and a productive role in national defense and stability. There are templates for U.S. security cooperation that could strike this balance. The Defense Institutional Reform Reform Initiative and the Ministry of Defense Advisor program have been suggested as venues for American experts and civilians to help professionalize the military of Myanmar and build its civilian relationships. Eventually, the United States should also consider engaging in training and exercises focused on humanitarian needs and disaster relief. Encouraging such a mission reorientation could provide the military with opportunities to build its professionalization in the field, while also turning its sense of identity and prestige toward less political ends. No matter how the United States and Myanmar choose to proceed, continued reform will be messy. Obama, Clinton, and Suu Kyi have demonstrated, however, that true progress can spring from difficult compromises when paired with hard-nosed pragmatism. In a strikingly short amount of time, a country previously compared to North Korea in its level of isolation and oppression has taken incomplete but very promising steps toward becoming a modern and democratic state. With reform’s low-hanging fruit now picked, the next U.S. administration and its partners in Myanmar will need to bring continued pragmatism to the challenging decisions that lie ahead. Harry Krejsa is the Asia-Pacific Security Research Associate at the Center for a New American Security in Washington, D.C. He co-led a field study of Myanmar’s 2015 general election preparations for Princeton University.